Today, it should come as no surprise that it’s more common to own a smartphone than a desktop or laptop computer. People are more likely to go to their smartphone when considering a purchase or getting answers to their questions. Mobile devices are portable and more convenient, no matter who or where you are. If mobile is where consumers are, than that’s where businesses should focus their efforts. Mexico, Indonesia, and India each have more than 4x as many smartphone users as they have desktop users. The UK, USA, and Canada have mobile customers that will also have access to a desktop but spend more time on mobile and, in the next decade, may transition to mobile only. Roughly 20% of US adults are “smartphone-only” today. People in these countries already spend more than twice their time on mobile, even if they own a desktop. Google has coined the term “micro-moments” to describe an intent-rich moment when a person turns to a device to act on a need – to know, go, do, or buy. These micro-moments are increasing and, with it, the the chance to interact with your customers. This gives companies the opportunity to deliver what users are looking for and ultimately gain their business. The winner of these micro-moments will be decided based on the quality of the user’s experience. Brands need to understand the mobile customer journey and how they can be there when a customer is in need of something. Mobile provides a diverse way for users to interact with and consume media. For instance, video is by far the most popular format for mobile users, attracting 82% of mobile viewers regularly. 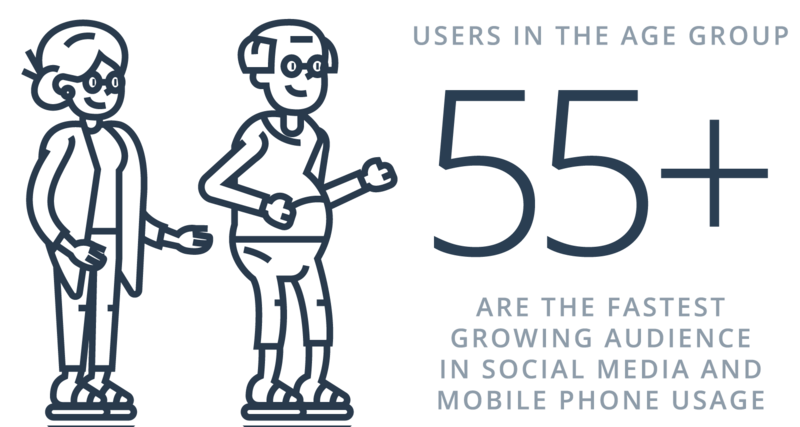 Social networking and audio content follow, drawing 70% of mobile users on a daily basis. Mobile games, while not quite as popular, are still used by over half of all mobile device users. Email – Smartphones and tablets can no longer be ignored by email marketers. They represent a massive part all email interactions and revenue. Email is largely read on mobile, with 61% of email opens occuring on a mobile device. Mobile marketing creates an opportunity to personalize the digital experience by collecting consumer data. While data might seem intimidating at first glance, with the right tools, it is incredibly easy to tailor experiences to each individual. The goal is to understand how much your customers want to interact with your brand and on what channels. Besides understanding customers’ wants and needs, you also want to allow them to choose how they receive communications. If they only want an email newsletter once a week, they should be able to have that while others receive them once a day. The same goes for push notifications. While these are arguably the most effective tool a mobile marketer has at their disposal, they are also the most likely to be a double-edged sword. Push notifications, if unwanted, are annoying. The more relevant, the more personalized, the better. Done right, mobile marketing is unobtrusive. It fits right into a person’s life. They can control how they interact with your brand and how much. That creates a more positive relationship. Further, through timing, tracking, and intelligent use of data, it’s possible to anticipate and seek to fulfill a customer’s needs before they realize they have them. Smarter marketing efforts that capitalize on the advantages of mobile are being developed all the time. For now, better data collection, privacy protection, and personalization efforts should be the primary focus as these have proven to be the most effective methods to grow customer relationships. Chances are, you get to experience a dozen or more carefully crafted mobile marketing interactions every day. Some may register as helpful; others will be ignored as inconsequential. Either way, this is a part of day-to-day life as much as searching the internet has become. Mobile is going to stick around. It is heavily cemented into everyday life and businesses need to find a way to weave themselves into those daily mobile actions. Mobile experiences must be adaptable, personalized, human, and unobtrusive. If you can succeed in those areas, your marketing efforts on the mobile platform, whatever shape it takes physically, should be successful. The post The Power of Mobile is Changing the Marketing Game appeared first on Bizness Apps.